Ant’s been doing all the little jobs that needed doing on the patio this week. He’s now working on the plans for the patio cover he’s going to build. 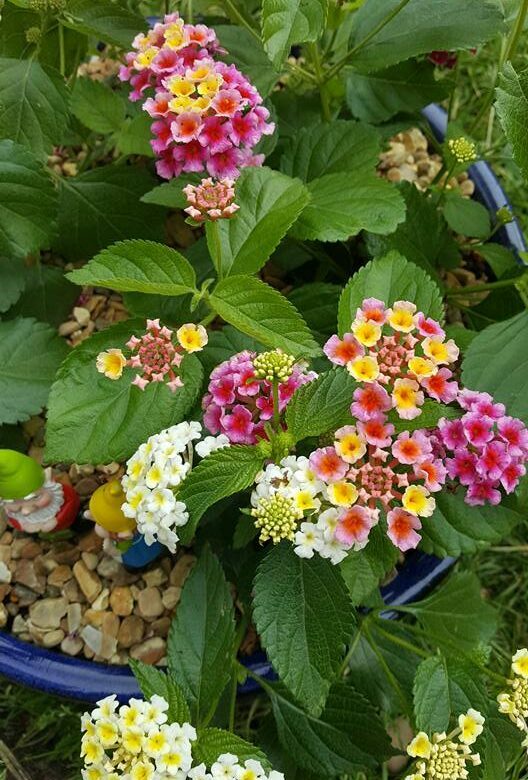 Don’t you just love these Lantana plants? I’d have a garden full of them if I could! My lovely water lily flowered 🙂 The pond seems to be doing well at the moment. There are still a few tadpoles hanging around. It’s almost as if they don’t want to change into frogs!